Basements get a bad rep for being the scariest part of the house; however, they don’t have to be the most neglected area just because it’s not always visible. Take advantage of basement remodeling and add some finishing touches to make your basement a well-loved part of your home. The home remodeling experts at InsideOut Renovations in Lincoln, NE, suggests three ways to finish off your basement. A huge part of a home’s character is based on its color palette. Whether yours is an eclectic, bright mix or a cool monotone, extending that color theme to the basement can connect it to the rest of your home. Consider wall paint, decorative artwork, or colorful furniture that can make it cozy. Basement poles don’t have to be an eyesore. Remodel and update those support poles by transforming them into beautiful columns or beams that complement the basement. Adding a light source or supporting an electrical outlet can turn your decorative columns into functional ones as well. Many people use their basements as storage for miscellaneous items – and it tends to get messy and unorganized. Basement remodeling can involve building something new that takes advantage of the space, such as custom cabinetry or a built-in bookcase. Organizing random clutter into cabinets can save you floor room, and you can put away your extra books and albums into the bookcases. 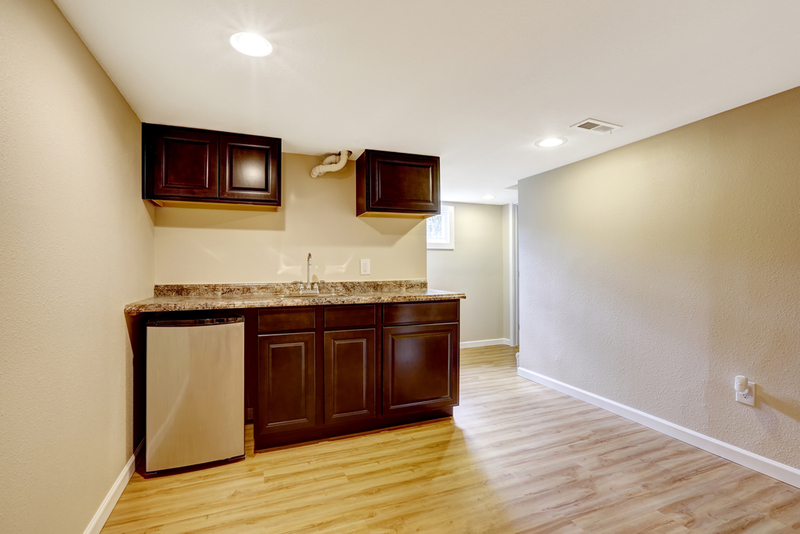 Basement remodeling can be an exhausting process, but adding finishing touches makes it exciting all over again. With over a decade of experience, InsideOut Renovations has used their extensive knowledge on home renovations to help homeowners fall in love with their basements. For advice on how to renovate your basement, call them at (402) 474-0028 or get inspiration from their website gallery.